Travel By Train, a sign which has elegantly adorned Denver Union Station for decades was once a common phrase in the American repertoire. Before automobiles became affordable and airlines offered unprecedented speed, railroads were the singular means of efficient travel. In this era streamliners zipped across the Heartland with names like the Hiawatha, Zephyr, and '400.' Alas, these sleek machines have given way to the National Railroad Passenger Corporation, or Amtrak, whose trains operate at speeds no greater than 79 mph outside of the Northeast Corridor. In this section we will look at rail travel options currently available as well as to provide an ever-so-brief history of the classic streamliner. 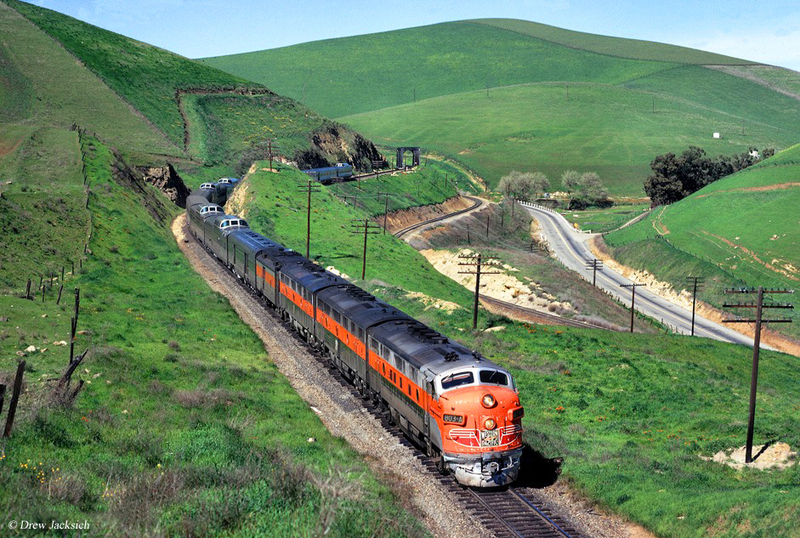 Today's trains should never be confused with services of the "Silver Age" (the streamliner era). In few other places could one enjoy such perks as sleepers with full bedrooms, freshly prepared meals, and an on-board barber all while your train raced at speeds up to 100 mph. Perhaps one day such luxuries will return although for now Amtrak remains the only option. 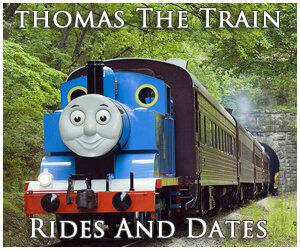 The equipment railroads utilized in their early years was, naturally, quite primitive. In the case of passenger cars these were essentially converted or retrofitted stagecoaches carrying a single axle at each end. Without any type of suspension the ride these cars offered was not particularly comfortable. 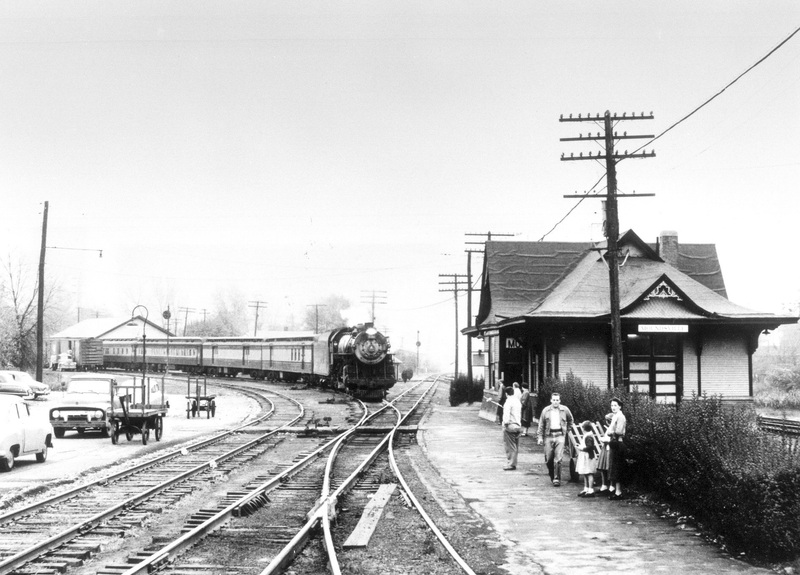 In addition, trackage then was often shoddy, at best, as crews rushed to complete lines. But, technologies quickly improved. 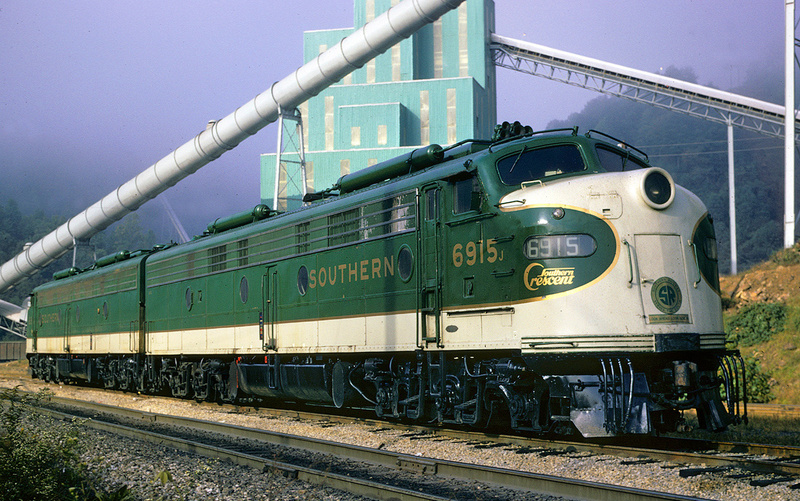 As Mike Schafer notes in his book, "Freight Train Cars," our nation's first common-carrier, the Baltimore & Ohio, was always a proponent of innovation. It led the way in developing an improved car suspension by unveiling the first "truck" assembly during the 1830's. This device held two axles (four wheels in all) that offered ride support via heavy springs situated to each side. In addition, it rode on a "bolster" slot located beneath the car's frame at each end (two trucks per car). It thus moved freely and could more easily negotiate curves. 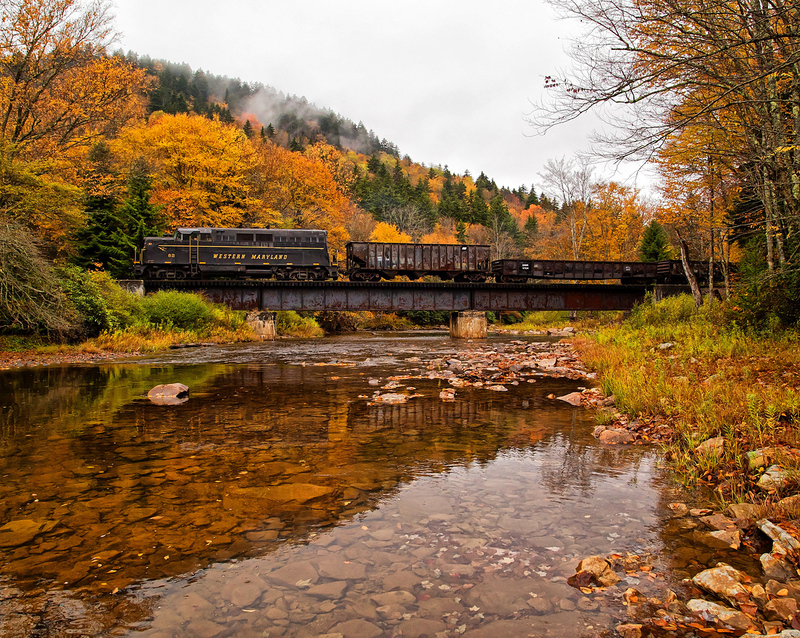 Today, the truck remains the standard axle assembling for all rail cars and has been in universal use since 1870. The 1830s also witnessed advancements in passenger cars. Author John Stover points out in his book, "The Routledge Historical Atlas Of The American Railroads," the first common passenger coaches appeared at this time featuring a corridor design and centralized walkway with seating to each side. 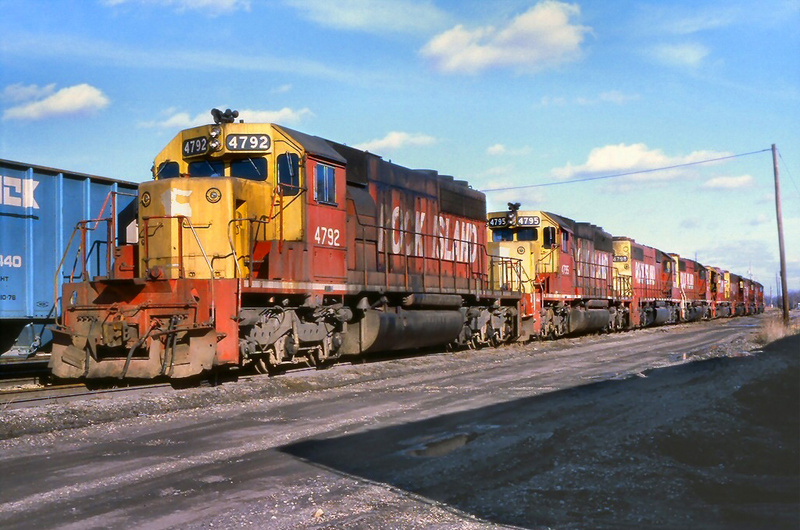 Later, important safety improvements were developed, most notably George Westinghouse's automatic air brake (1869) and Eli Janney's automatic coupler (1873). With the rail car's foundations in place by the mid-19th century, future betterments helped make travel more comfortable, efficient, and expedient. The most notably visible improvements was the introduction of specialization such as the diner, sleeper, club cars, parlor, lounge, and observation. Long regarded as the most famous car builder was George Pullman's Pullman Palace Car Company that launched in 1867 (later reorganized as the Pullman Car Company). It was located in Pullman, Illinois and its cars became legendary. While the company is best known for sleeping accommodations it built many other types (or combinations). "'Old No. 9' The First Pullman Car: The first Pullman sleeper, built 1859, was a reconstructed day coach, 40 feet long or about half the present length. Except wheels and axles, it was practically all wood. The roof was flat and so low a tall man was liable to bump his head. The seats were immovable; two small wood-burning stoves furnished heat. Lighted with candles, it had at each end a small toilet room large enough for one person, with tin wash basin in the open and water from the drinking faucet. There were ten upper and ten lower berths; mattresses and blankets, but no sheets. But it was the best yet." By the turn of the century equipment became increasingly specialized with an eye towards comfort and luxury. Pullman, for example, spared no expense in providing every perk imaginable. Through the 1920's “heavyweight” equipment replaced wooden designs (so-named for the construction materials utilized, like steel; Pullman's first appeared in 1907). Into the 1930's lighter weight materials, such as stainless-steel and aluminum, became common in car construction with the introduction of the streamliner. This new train was born primarily to reignite public interest in rail travel. Not only did the locomotives appear futuristic but so too did the cars. The classic, clerestory roof cars had always featured was replaced with a rounded, smoothed-over look. In addition, Pullman's typical drab "Pullman Green" livery was replaced with an array of vibrant colors. One of the first, and most famous streamlined trains was the Burlington’s Zephyr 9900 trainset, unveiled in April of 1934. Sleek, fast, and comfortable it paved the way for an entire generation of new trains like Milwaukee Road’s Hiawathas, New York Central's 20th Century Limited, Pennsylvania's Broadway Limited, and Great Northern’s Empire Builder. Interest in trains peaked during 1916 when 1 billion riders travel by rail, the same year the industry boasted its highest-ever mileage (254,037). As automobile usage climbed from only a few at the turn of the 20th century to 23 million by 1929, railroads felt the pinch. It was compounded by the Great Depression that year followed by an economic downturn throughout the 1930's. In 1930 rail travel slipped to 700 million riders and had fallen to 450 million by 1940. Ridership continued to slide after World War II despite a heavy investment in new equipment. 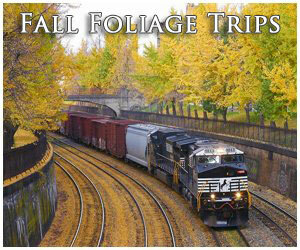 By the 1960's many railroads had given up the fight and desperately wanted out of the passenger business. Relief finally came through the National Railroad Passenger Corporation, or Amtrak, which began operations on May 1st, 1971. Note that in 1929 there were 29,000 intercity/long-distance passenger trains operating throughout the country. By 1970 this number had declined to just 500. Today's federally-funded Amtrak operates almost exclusively over the private freight carriers, except for in the Northeast where it owns the PRR’s former Northeast Corridor (NEC) between Washington, D.C. and New York as well as the ex-New Haven's main line from the Big Apple into Boston. When Amtrak began it used equipment donated by the participating railroads and while originally setup to become a financially self-supporting entity this was entirely an illusion. Many in the government had hoped the railroad would fail within just a few years, allowing it to be quietly shutdown. However, its popularity has kept the carrier in service despite operating exclusively on a shoestring budget. Interest has particularly grown in the post-9/11 era. 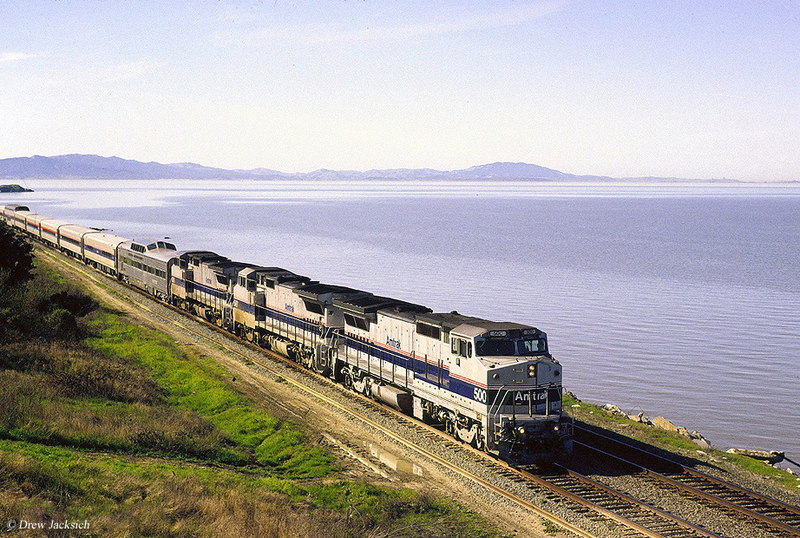 Along with Amtrak, state operations are gaining support as highway congestion increases. The two most protective states include North Carolina and California. Both are doing a magnificent job at developing passenger rail corridors, particularly the former. As transportation issues gain support the future of rail travel looks very bright, as everything from local trolley systems to large, "heavy" commuter rail operations are planned and developed. 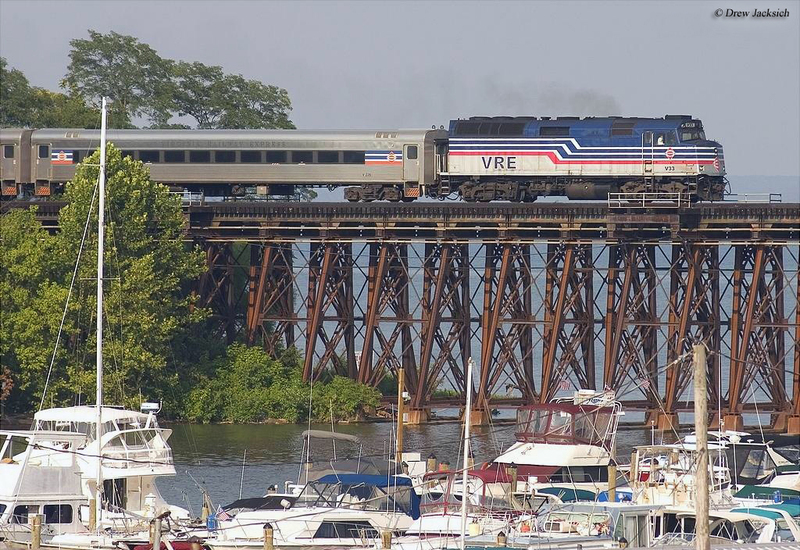 Today, ridership numbers for Amtrak, according to the railroad, have broken 30 million (its revenue passenger miles now exceed 466 million although this is a mere fraction of the all-time high reached in 1944 of 93 billion according to Don DeNevi's book, "America's Fighting Railroads"). As transportation discussions continue throughout the country, passenger rail continues to grow in popularity and its future appears strong. However, just how good depends on the level of funding we are willing to invest in the infrastructure. Will we see high-speed systems like those in Japan or France? Probably not but the demand for such is almost certainly there. For instance, even the old interurbans and streetcar operations are making a comeback as "light rail transit." 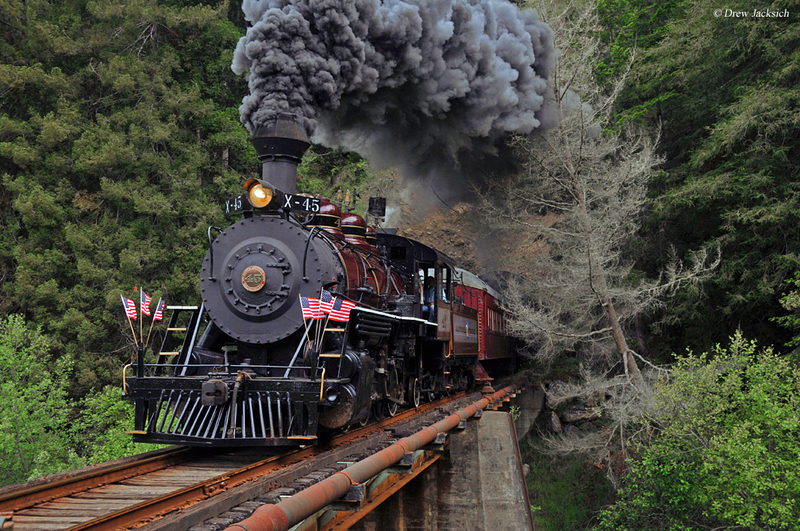 Tourist trains, also known as heritage railroads, are perhaps the best way to experience what traveling by train was like long ago. 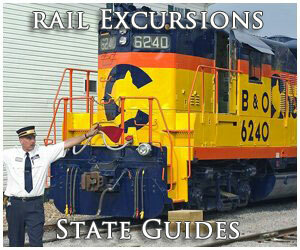 Many of these operations use vintage, restored cars and locomotives from the 1950s or earlier. 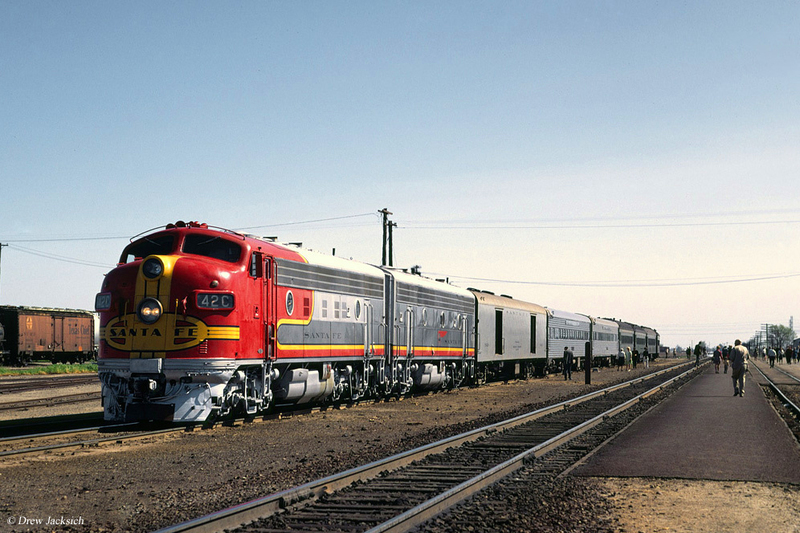 The Grand Canyon Railway in Arizona operates restored streamlined cars from the 1950s and classic Alco diesel locomotives for power while the Royal Gorge Route offers something similar. Then there is the Strasburg Railroad in Pennsylvania which operates restored steam locomotives and 19th century passenger train cars, which have been painstakingly restored to their original splendor. 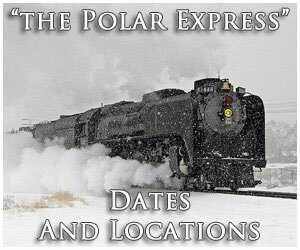 If you truly wish to know what traveling by train was like back then, please consider riding one of the many excursion trains available!